Obtaining a work permit in your country of choice is often a hectic and tiring process. However, acquiring a work permit in Switzerland is dependent on several factors among them one’s country of origin, the level of skills and quotas. Switzerland usually has a dual system that allows non-citizens to work while in the country. One of the first concerns is the European Union or the European Free Trade Association. Citizens from this region are allowed into Switzerland for three months as they look for jobs. Nevertheless, this period can be extended to six months if one is actively engaged in job hunting. Once you provide evidence of active job hunting with sufficient proof of landing a job soon, then this period can further be extended to one year. The length of the validity of this authorization depends on the duration of the employment contract. Typically, it ranges from three to twelve months and is issued to people who will work for less than a year. This is issued to persons who have an employment relationship categorized as unlimited. Its validity is for five years and will automatically be renewed for a further five years as long as the working relationship still exists. This consent is valid for an indefinite period and is issued after a regular, uninterrupted stay of five years in Switzerland. The people from the Non-European countries are required to own a work permit. Also, a third state national can only take a job in Switzerland if an individual cannot be hired in the Swiss labor market or a member state of the European Union. On top of this, employers must prove that they made significant efforts to find a Swiss, EU citizen or other foreign nationals already in Switzerland who possess a work permit. Can you tell me how can i apply to Initial residence permit for Switzerland…? 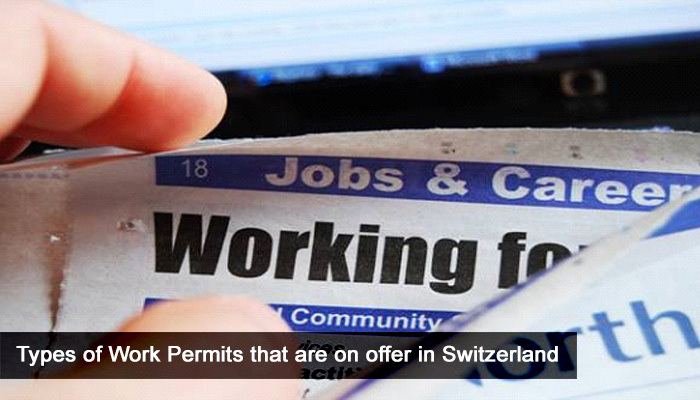 How can i apply to work permit of switzerland..??? please explain clearly..